It is an industry that garners billions of dollars for its foremost practitioners. Those who thrive in it are armed with a vast array of skills and knowledge about a variety of disciplines, because they have to be in order to be successful from a professional and financial standpoint. And yet it is a distinctive career track that is not offered as an area of concentrated study at the collegiate level. That business is the staffing industry, and the career track is corporate recruiting, in which, according to Staffing Industry Analysts, revenues will jump to $134.4 billion at the conclusion of 2013. That number represents a vast fortune, one derived from areas as diverse as transportation, workforce management, IT, healthcare, governmental contracting, finance and accounting, to name just six of a plethora of dozens. 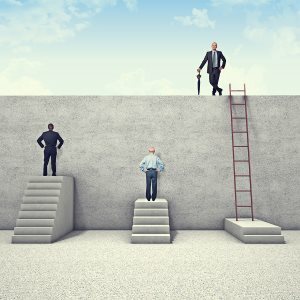 When you think about it, the skills recruiters and account executives in the staffing industry must have in order to achieve success could easily be taught as part of a stand-alone concentration for someone pursuing a baccalaureate degree within the framework of liberal arts/business education. While there are over 260 Human Resources-related undergraduate programs in the country, the courses offered that are specific to corporate recruiting are limited. At most, students enrolled in HR for a major will take courses called Attraction, Selection and Development, and/or Talent Management. And that is where the academic introduction into corporate recruiting generally concludes. That preliminary exposure does not constitute a major in corporate recruiting. What a college or university would have to do would be to define what that term means, and how it would go about providing a foundational background in that area to its students who wanted to become recruiters in that space. The general definition for life sciences is that it consists of the “fields of science” that involve the scientific study of living organisms such as plants, animals, and human beings, as well as related considerations like bioethics. And while biology remains the centerpiece of the life sciences, advances in molecular biology and biotechnology have led to an increase of specializations and interdisciplinary fields. Some of which are: biomedical science, biochemistry, biocomputers, immunology, medical devices, computational neuroscience, genetics, genomics, medical imaging, computational neuroscience, environmental science and biomechanics, to name just 12 potential areas for study within the discipline. What would an HR major’s schedule look like though? Well, a college could do is have its students take a quarter of their courses within the life sciences discipline. The courses selected, obviously, would depend on what the university offered within the life sciences field of study. The third quarter of classes recruiting majors would take would be business related, so they would graduate with an understanding of how corporations work. Classes taken in this block would focus in the areas of finance, accounting and statistics. The last quarter of classes would be the core requirements all colleges and universities require for graduation with a baccalaureate degree. The hypothetical scenario we just sketched for college students interested in earning an undergraduate degree in recruiting, with a specialization in life sciences, holds for any other academic concentration. Colleges and universities, which are after all businesses, could reap a sizable financial windfall if they offered corporate recruiting as a standalone major. More importantly, however, they would be contributing to a vital sector of the economy that impacts every facet of the world of work. Paul Fleming Jr. is the director of Public Relations for Eliassen Group, a national technology staffing and consulting services firm headquartered in Wakefield, Mass. He has also worked as a journalist and spokesperson for a governmental agency in Massachusetts. He can be reached at 781-205-8118.